For an alternative trip to Cambridgeshire, venture beyond the winding cobbled streets of Cambridge and visit Conington Level Crossing near Peterborough. It is said that the spirits of six German prisoners of war and a Colonel Mellows and his pet dog appear in the area, along with a phantom car. Peterborough Museum is another hot spot, with TV’s Most Haunted having broadcast from the building. It is said that the spirit of Australian soldier, Thomas Hunter appears on the stairs and on the first floor. At The Old Ferry Boat Inn at Holywell the inn’s plush carpet covers the floor except for in one spot, which is said to be the resting place of Juliette, a young girl who killed herself after being neglected by her lover. It is said that on the anniversary of her death, her ghost rises at midnight and floats around the rooms of the inn. Once you’ve located your ideal haunted hotel, Cambridgeshire offers a wealth of fantastic places of interest to make your stay one that you’ll never forget. 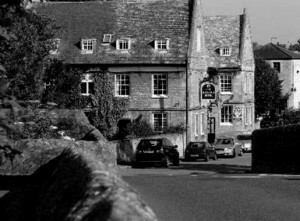 We feature just some of the most haunted hotels in Cambridgeshire If you know of a haunted hotel in Cambridgeshire that we’ve missed, we’d welcome your suggestion. Just click on the ‘Contact Us’ link in the footer at the bottom of the website.